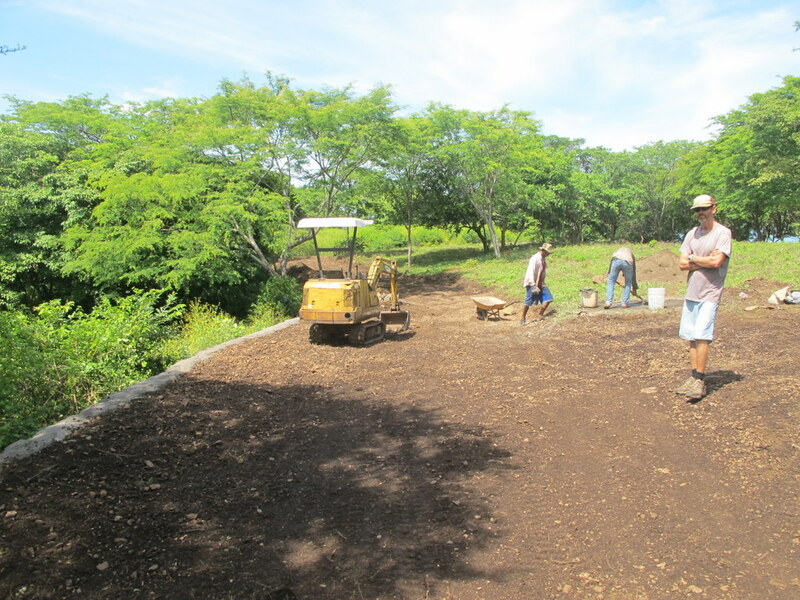 Last year we paid our caretaker Adan to move large rocks to the side of the road with the plan to get a machine to dig out the high side and move dirt onto the low side in order to flatten out the road. We asked around, looking for a local friend with a tractor with the right attachment or cuchillo to do the job but never came across anyone. 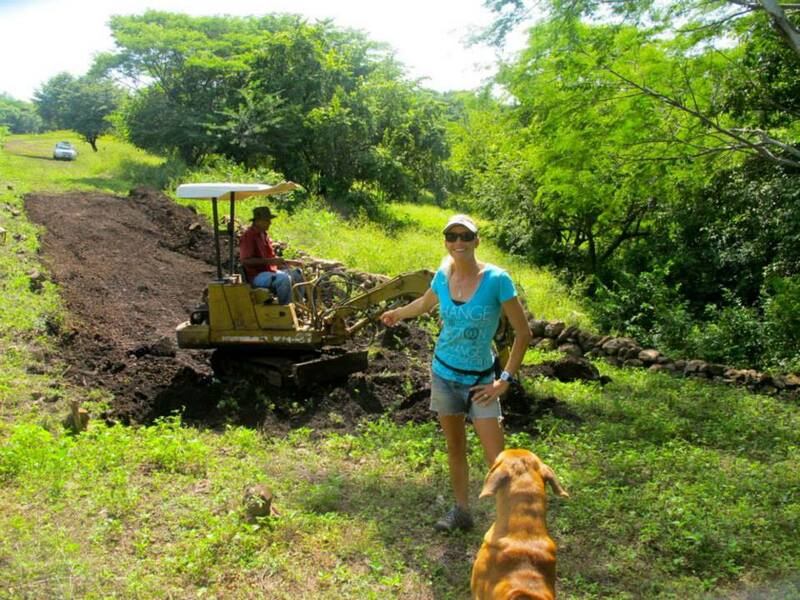 Finally, I ran into a British friend named Tom who spends half his time in Nica and happens to own a small machine that we call the “wee digger” while out surfing. He offered to drive the digger over and put it to use. 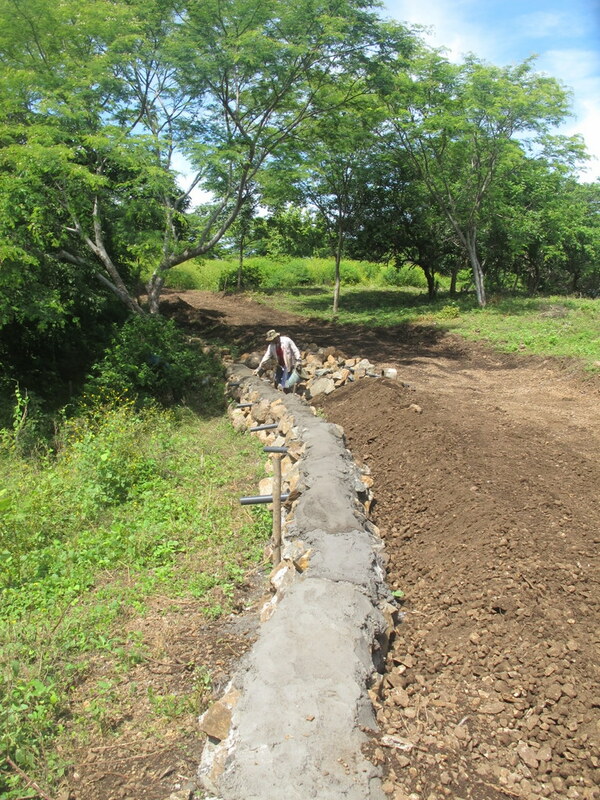 It took 4 days, ten bags of cement, 4 more loads of rock, and 10 hours with the machine, but we finally have a nice flat road with a solid rock wall and some pvc tubes to let the water pass through the wall. 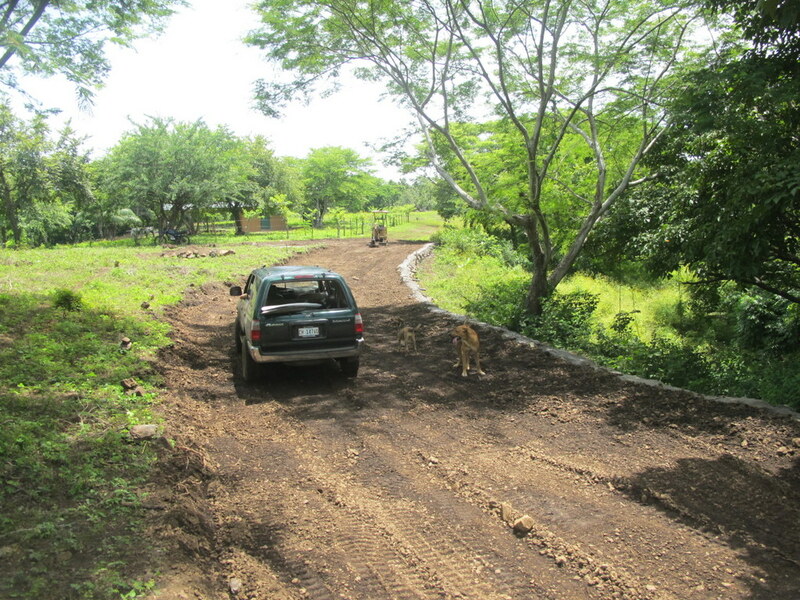 After two days of work, the road is looking nice and flat and you can see the rock wall on the left side. 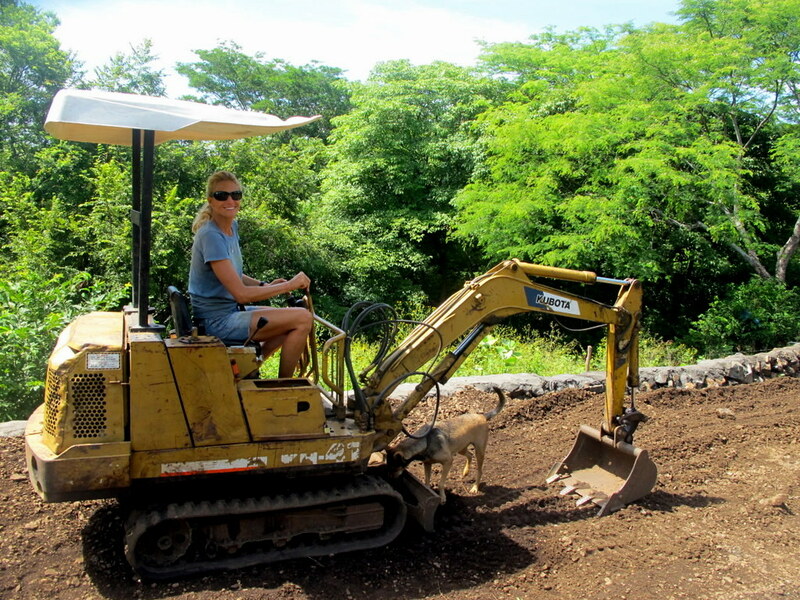 I had to take the wee digger for a test drive! Here you can see the PVC tubes installed for drainage. Driving the road for the first time. Nice and flat – well, flat enough for bringing in big trucks full of building supplies!